GYNECARE THERMACHOICE III Uterine Balloon Therapy System is a thermal balloon ablation device intended to ablate the endometrial lining of the uterus in premenopausal women with menorrhagia (excessive uterine bleeding) due to benign causes for whom child-bearing is complete. Heavy periods can affect the health of woman due to lon of blood with resultant anaemia. Also there can be underlying serious condition which can put the woman’s life in jeopardy. At Dr. Raut’s Hospital, We investigate them completely to rule out underlying serious conditions and if found, treated accordingly. 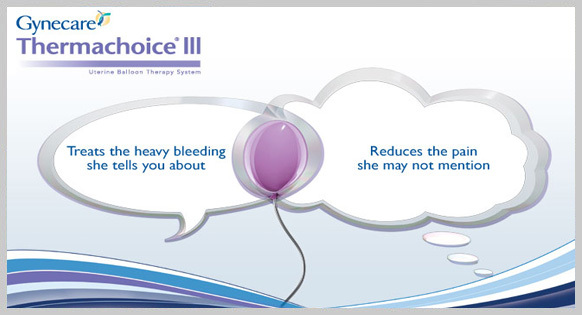 In case of DUB ( Dysfunctional Uterine Bleeding ) Simple 8 minute solution is provided in the form of thermachoice uterineBallon Ablation treatment. This is aday care procedure for patients with heavy bleeding. This procedure is useful when the women is not interested in further childbearing.